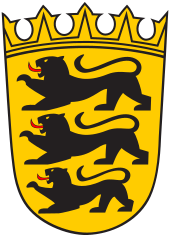 Schleswig-Holstein (German: [ˈʃleːsvɪg ˈhɔlʃtaɪ̯n]; Danish: Slesvig-Holsten) is the northernmost of the 16 states of Germany, comprising most of the historical duchy of Holstein and the southern part of the former Duchy of Schleswig. 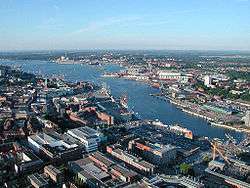 Its capital city is Kiel; other notable cities are Lübeck and Flensburg. Also known in more dated English as Sleswick-Holsatia, the Danish name is Slesvig-Holsten, the Low German name is Sleswig-Holsteen, and the North Frisian name is Slaswik-Holstiinj. 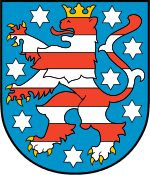 Historically, the name can also refer to a larger region, containing both present-day Schleswig-Holstein and the former South Jutland County (Northern Schleswig) in Denmark. Schleswig and Holstein have at different times belonged in part or completely to either Denmark or Germany, or have been virtually independent of both nations. The exception is that Schleswig had never been part of Germany until the Second Schleswig War in 1864. For many centuries, the King of Denmark was both a Danish Duke of Schleswig and a German Duke of Holstein. Essentially, Schleswig was either integrated into Denmark or was a Danish fief, and Holstein was a German fief and once a sovereign state long ago. Both were for several centuries ruled by the kings of Denmark. In 1721, all of Schleswig was united as a single duchy under the king of Denmark, and the great powers of Europe confirmed in an international treaty that all future kings of Denmark should automatically become dukes of Schleswig, and consequently Schleswig would always follow the same order of succession as the one chosen in the Kingdom of Denmark. In the church, following the reformation, German was used in the southern part of Schleswig and Danish in the northern part. This would later prove decisive for shaping national sentiments in the population, as well as after 1814 when compulsory school education was introduced. 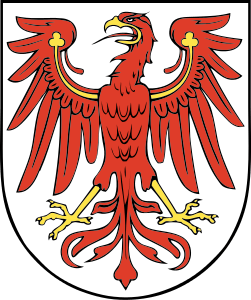 The administration of both duchies was conducted in German, despite the fact that they were governed from Copenhagen (from 1523 by the German Chancellary which was in 1806 renamed Schleswig-Holstein Chancellary). 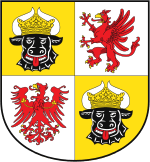 Contrary to the hopes of German Schleswig-Holsteiners, the area did not gain its independence, but was annexed as a province of Prussia in 1867. Also following the Austro-Prussian War in 1866, section five of the Peace of Prague stipulated that the people of Northern Schleswig would be consulted in a referendum on whether to remain under Prussian rule or return to Danish rule. This condition, however, was never fulfilled by Prussia. During the decades of Prussian rule within the German Empire, authorities attempted a germanization policy in the northern part of Schleswig, which remained predominantly Danish. The period also meant increased industrialisation of Schleswig-Holstein and the use of Kiel and Flensburg as important Imperial German Navy locations. The northernmost part and west coast of the province saw a wave of emigration to America, while some Danes of North Schleswig emigrated to Denmark. Following the defeat of Germany in World War I, the Allied powers arranged a plebiscite in northern and central Schleswig. The plebiscite was conducted under the auspices of an international commission which designated two voting zones to cover the northern and south-central parts of Schleswig. Steps were taken to also create at third zone covering a southern area, but zone III was cancelled again and never voted, as the Danish government asked the commission not to expand the plebiscite to this area. 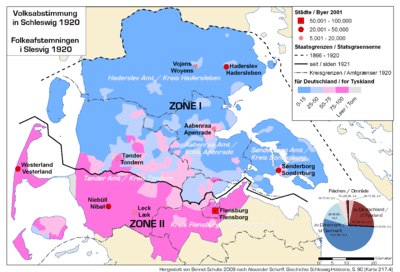 In zone I covering Northern Schleswig (10 February 1920), 75 % voted for reunification with Denmark and 25 % voted for Germany. In zone II covering central Schleswig (14 March 1920), the results were reversed; 80% voted for Germany and just 20% for Denmark. Only minor areas on the island of Föhr showed a Danish majority, and the rest of the Danish vote was primarily in the town of Flensburg. Because of the forced migrations of Germans in 1944 to 1950, the population of Schleswig-Holstein increased by 33% (860,000 people). A pro-Danish political movement arose in Schleswig, with transfer of the area to Denmark as an ultimate goal. This was neither supported by the British occupation administration nor the Danish government. In 1955, the German and Danish governments issued the Bonn-Copenhagen Declarations confirming the rights of the ethnic minorities on both sides of the border. Conditions between the nationalities have since been stable and generally respectful. 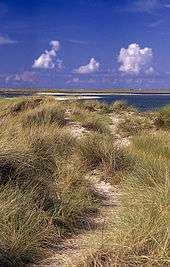 Schleswig-Holstein lies on the base of Jutland Peninsula between the North Sea and the Baltic Sea. 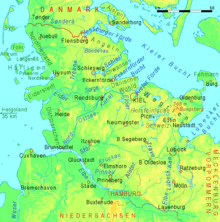 Strictly speaking, "Schleswig" refers to the German Southern Schleswig (German: Südschleswig or Landesteil Schleswig, Danish: Sydslesvig), whereas Northern Schleswig is in Denmark (South Jutland County). 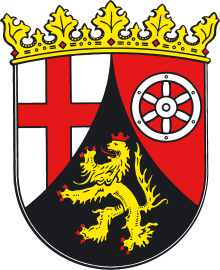 The state of Schleswig-Holstein further consists of Holstein, as well as Lauenburg and the formerly independent city of Lübeck. Schleswig-Holstein has an aging population. Since 1972 the natural increases have been negative. In 2015 the TFR reached 1.512, highest value in 40 years (the average value being 1.4). In 2015 there were 23,549 births and 33,663 deaths, resulting in a natural decrease of -10,114. The region has been strongly Protestant since the time of the Protestant Reformation. Percentage-wise it is the most Protestant of the 16 modern states. Today, members of the Evangelical Church in Germany make up 53% of the population, while members of the Catholic Church comprise 6%. 41% of the population is not religious or adherent of other religions. Schleswig-Holstein combines Scandinavian and German aspects of culture. The castles and manors in the countryside are the best example for this tradition; some dishes like Rødgrød (German: Rote Grütze, literal English "red grits" or "red groats") are also shared, as well as surnames such as Hansen. 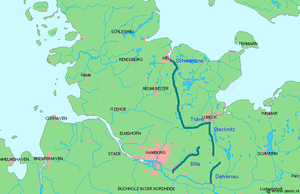 Historically, Low German, Danish (in Schleswig), and Frisian (in Schleswig) were spoken. Low German is still used in many parts of the state, and a pidgin of Low and standardised German (Missingsch) is used in most areas. Danish is used by the Danish minority in Southern Schleswig, and Frisian is spoken by the North Frisians of the North Sea Coast and the Northern Frisian Islands in Southern Schleswig. 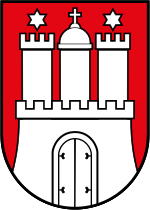 The North Frisian dialect called Heligolandic (Halunder) is spoken on the island of Heligoland. 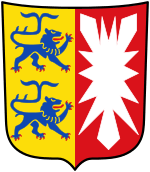 The most recent Schleswig-Holstein state election was held on 6 May 2012. Since June 2012, after government negotiations, the state has been ruled by the so-called "Dänen-Ampel" (Danish Traffic Light) or "red-green-blue" coalition consisting of the Social Democrats, the Green Party and the South Schleswig Voter Federation (SSW). The Minister-President is Torsten Albig from the SPD. The government has a narrow majority with 35 of 69 seats in the state parliament. Before the 2012 election, Peter Harry Carstensen from the CDU was the Minister-President in a coalition consisting of his own party, the CDU, and the liberal FDP. ↑ "Regional GDP per capita in the EU28 in 2013" (PDF). 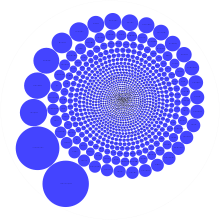 Retrieved 2015-09-10. ↑ "Lübeck: The town that said no to Hitler", Simon Heffer, www.telegraph.co.uk, Retrieved 2010-06-28. ↑ Nygaard, Jørgen (14 May 2015). "Dansk er blevet officielt sprog i Slesvig". tvsyd.dk (in Danish). ↑ Gero Rueter (2013-09-10). "Northern Germany spearheads energy transition". Deutsche Welle. Retrieved 2015-08-21. ↑ Lisa Waselikowski (2015-01-08). "Highlight of the Month: The First German State Achieves 100% Renewable Energy". Worldwatch Institute. Retrieved 2015-08-21. 1 2 3 4 "Education in Schleswig-Holstein". State of Schleswig-Holstein. Retrieved 14 April 2011. 1 2 3 "Institutions of Higher Education in Schleswig-Holstein". State of Schleswig-Holstein. Retrieved 14 April 2011. 1 2 "Responsibilities of the Government". 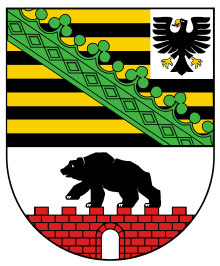 State of Schleswig-Holstein. Retrieved 14 April 2011. 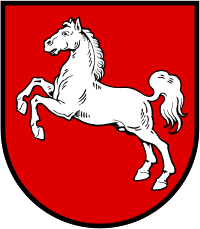 1 2 3 4 5 6 of Schleswig-Holstein "Die Minister - Das Kabinett" Check |url= value (help) (in German). Retrieved 7 August 2012. Chisholm, Hugh, ed. (1911). 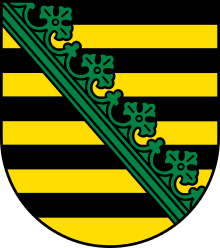 "Schleswig-Holstein". Encyclopædia Britannica (11th ed.). Cambridge University Press.